Recently I picked up the book "I'll Hold You In Heaven" by Dr. Jack Hayford because the title and topic intrigued me and the eBook was only 99 cents. It was a great read and worth more than that. 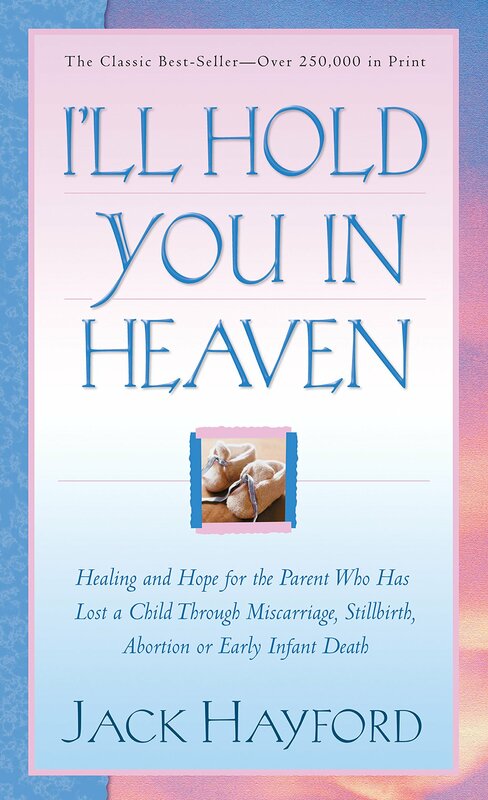 Dr. Hayford, in his compassionate, pastoral way, uses this book to give hope to those who have experienced a stillborn child, the death of a newly born child, a miscarriage, or an abortion. Using scripture, he carefully demonstrates that the lost child is human and that the lost child has an eternal soul and, as a result, their death took them straight into heaven and the presence of God. He also showed that God knew each of us before we were born and He has a plan and a purpose for each of our lives. Psalm 139:13-16 (New Living Translation) says "13 You made all the delicate, inner parts of my body and knit me together in my mother’s womb. 14 Thank you for making me so wonderfully complex! Your workmanship is marvelous—how well I know it. 15 You watched me as I was being formed in utter seclusion, as I was woven together in the dark of the womb. 16 You saw me before I was born. Every day of my life was recorded in your book. 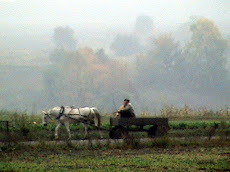 Every moment was laid out before a single day had passed." He then shares that the only way that the parents of a child who has died will see them again is if they themselves also get to heaven. And the only way for any of us to get to heaven is by accepting Jesus Christ as our Lord and personal Savior. He died to pay the penalty for my sins and for yours. He shared one very touching story. His church had started a ministry with a vision to provide pregnancy counseling without imposing a spiritual demand on the inquirer, but simply to discourage abortion by showing love and trusting God to work in their lives. One expectant mother called, who had been abandoned by her boyfriend. Over time, she decided against an abortion and she accepted Jesus as her Savior. One Sunday morning, she came to dedicate her little girl to the Lord. As they were preparing to take communion, Pastor Jack shared her story and said, "This is as dramatic a case as I think you'll ever see, in which brokenness is made whole through the love of Jesus. This baby would have been broken in the womb, but she wasn't. Because you prayed, you gave and you loved, she found new possibilities; and here in my arms is wholeness, not brokenness." Jesus came to heal the broken-hearted and He still restores broken lives today! That is the message we have to share with the people of Ukraine. God has placed us here because He wants the good news of his redemptive purpose to be shared with people all around the world. Our assignment is here. Denise and I experienced a miscarriage before we adopted Laura. Dr. Hayford's words spoke directly to me. And because both of our girls are adopted, we are so glad that their birth parents chose life! How about you? Do you have a child in heaven as we do? Will you join them there? Do you know what God's purpose for your life is? Today it has been seven years since my Mom died and took her step into eternity. (I wrote about her in two posts in 2012, Life and Death and Remembering My Mom.) And today I am so thankful that God is always true to his promises - and this one in particular. While I cannot understand it, after Mom's death I went through a very difficult time. I knew that she was ready to meet her Lord, but the loss still hurt. I do know that God touched me and comforted me just as He promised. I had learned so much about grieving from our dear friend, Vi Washena, after her husband Bill died on January 1, 2000. The two of them were so dear to us and we took Vi under our wings, so to speak. We would talk about often about the stages of grief and I so appreciated her wisdom and openness. But it is not until you yourself go through "the dark valley of death" (NLT) that the Psalmist wrote about in Psalm 23, that you can truly appreciate God's promise. He goes with us through the valley. Vi and I often went back to the second half of Hebrews 13:5 from the Amplified Bible (which tends to be a bit wordy, but in this case that helps to make a point), which says, "...for He [God] Himself has said, I will not in any way fail you nor give you up nor leave you without support. [I will] not, [I will] not, [I will] not in any degree leave you helpless nor forsake nor let [you] down (relax My hold on you)! [Assuredly not!]" That's a little different from the NLT, which says, "I will never fail you. I will never abandon you." For that, I am so thankful. God always goes with us. He never leaves us alone. Probably the number one concern for us living in Ukraine is for our safety. We have not and will not take unnecessary risks. But for the present time, we believe that we need to be here in Ukraine, that God is here with us, and that He will let us know if and when we need to leave. Until then, we will continue to be as careful as we can and to trust God for His help and protection. When we were travelling in America to raise support, I remember sharing in one church about Mom's death and how hard it was on me. After service, a lady came up to me while fighting back the tears. She had lost her Father and a Brother in previous 6 months or so. Her question to me was, "Does the pain really lessen?" Yes! Yes, it does! God comforts us and takes the ache away. I do not believe that time heals as much as God provides healing over time. Lately I have found myself missing Mom, but without the ache. A lot has changed in our lives since Mom passed away and I know that she would be pleased with those changes I am a blessed man and have much to be grateful for. But today I am especially grateful that God comforts those who mourn. Perhaps the blessing Jesus was speaking about is comfort? For me, being comforted has been a blessing. How about you? Are you grieving a loss of a loved one, a job, or something else? God wants to comfort you.